Thank you to everyone who joined us in raising a glass to five incredible years this past weekend! We’re so grateful to everyone who has come along on this curious journey with us & for the support over the years. From sharing one-of-a-kind offerings like Existence & our Five Year Anniversary Ale to introducing new offerings like our Crushies (which we hope to have more often in our tasting room) - we enjoyed a great weekend of celebrating with you all! 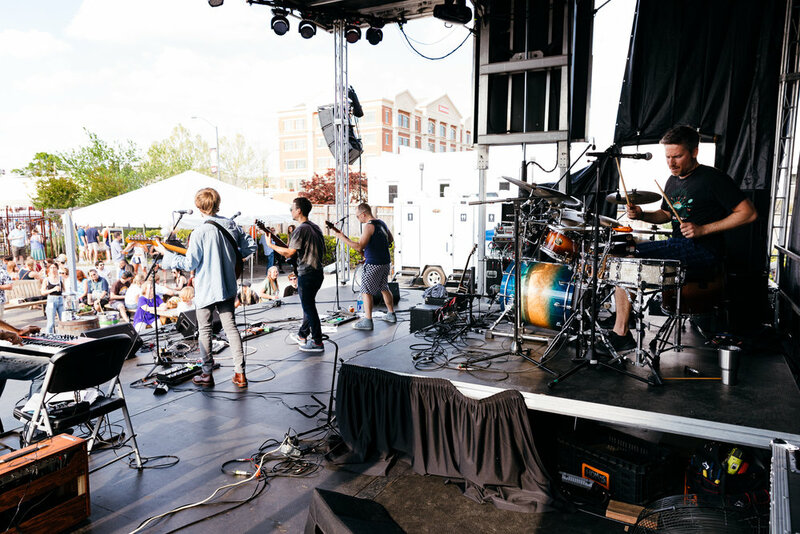 Check out images of the memorable weekend below. Cheers to five years! 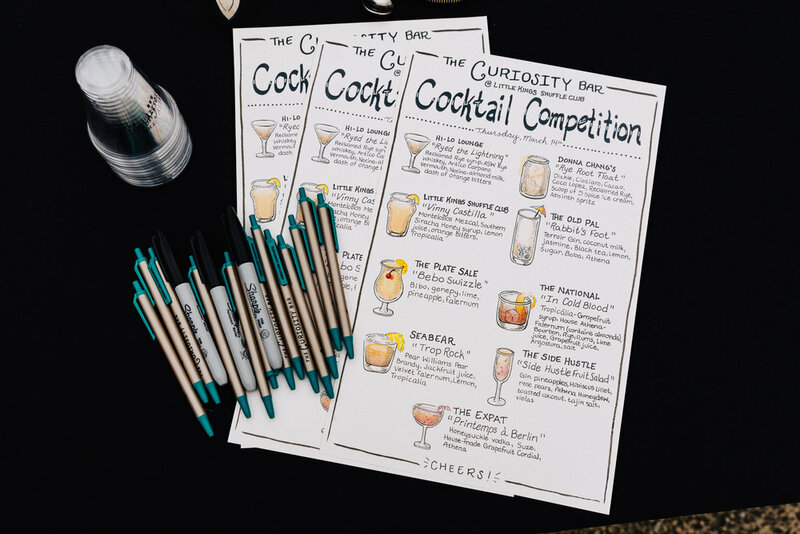 Thank you to everyone who came out for our first-ever Curiosity Bar Cocktail Competition pop-up last week! We were amazed at every curious concoction the incredible cocktail makers presented, with a range of flavors all complementing our core beers featured. Congratulations to The National for snagging runner-up and The Plate Sale for taking first-place! 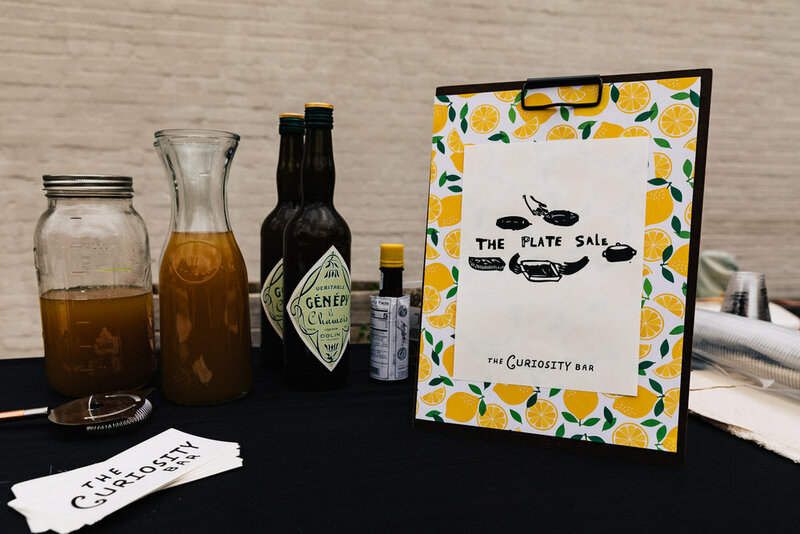 A special thank you to Little Kings & T for hosting, The Side Hustle for also providing delicious bites, DJ Quincy for the tunes, and 1000 Faces for supplying us with extra coolers and insight on cocktail competitions. 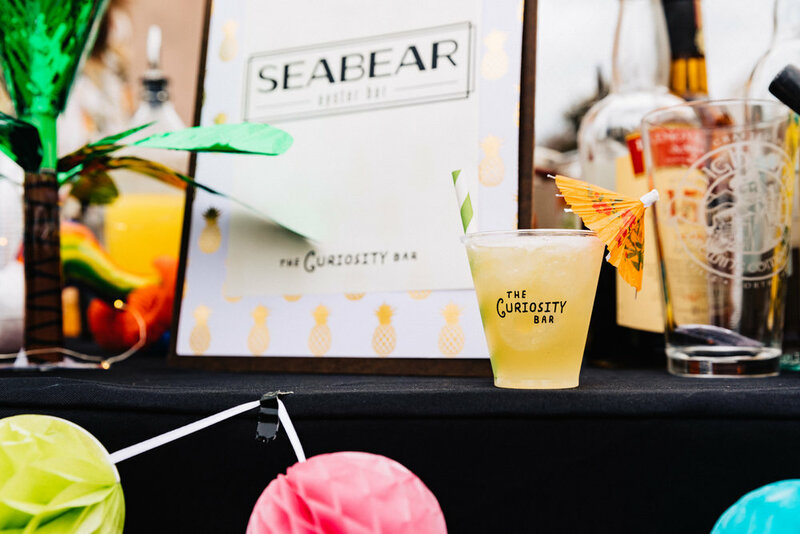 You can check out photos from the event below and be sure to stay tuned for what's next for the Curiosity Bar. In an effort to grow our wood cellar and specialty brand program, we recently expanded our barrel facility with additional equipment in January 2019. We added three foeders as well as a state-of-the-art bottling line to our original location in downtown Athens. The three foeders were imported from a winery in Sardinia and refurbished by an Italian cooper. We’re utilizing the additional tanks to increase the quality as well as the output of specialty brands. The bottling line we recently added is a GAI MLE 661 BIER model coming from Italy. The line is capable of packaging 500mL, 750mL, and 1500mL formats, and packages 750mL bottles at a rate of 1000 bottles/hour (still) and 700 bottles/hour (sparkling). We’re now preparing for the release of several offerings from the program. Consumers can expect new brands, Pearson and Curious #12, in addition to the return of Existence as the next releases from the wood cellar and specialty brand program. 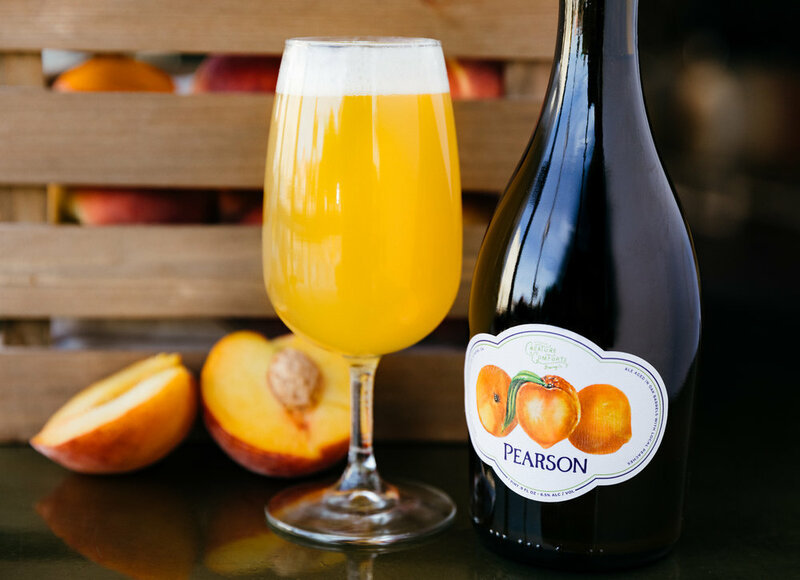 Pearson is a fruited ale aged in oak barrels that showcases locally sourced peaches from Fort Valley, Georgia's Pearson Farms. We worked with “the Peach Guru” John Short of Georgia Proud Provisions to select the Elberta peach, the original king peach of Georgia, to feature in the 2018 vintage. We then determined select barrels to create a blend that honors the flavors of the chosen peach variety. We packaged and conditioned the beer in 500mL bottles. Pearson is 6.5% ABV and will be available from our tasting room on March 30. We developed Curious #12 from a previous release from our wood cellar, River Ridge Black. Once River Ridge Black finished conditioning on top of organic black raspberries and black currants, we transferred a portion of the beer to a port barrel where it aged for eight months. Curious #12 is a part of our Curious Series that we utilize to explore new techniques, flavors, and ingredients. The beer is 8.1% ABV and will be available in a limited amount of 500mL bottles. Existence  is a bourbon barrel-aged imperial stout aged for 23 months. This version of the stout is 13.7% ABV and intense yet balanced with a firm structure and viscous body. We first released the brand in May 2016, and the beer served as the first bourbon barrel-aged stout the brewery ever produced. Existence was built to age and develop over time into a refined and well-balanced offering. We hope you’ll join us in our tasting room on March 30 for the Pearson release and stay tuned for more information on upcoming releases from our wood cellar! Big News for New Georgia Markets! We are excited to announce that we will expand our distribution footprint to include the Savannah and coastal Georgia markets! We will work with our distributor, Savannah Distributing, to enter the additional markets and we plan to distribute statewide by early June 2019. 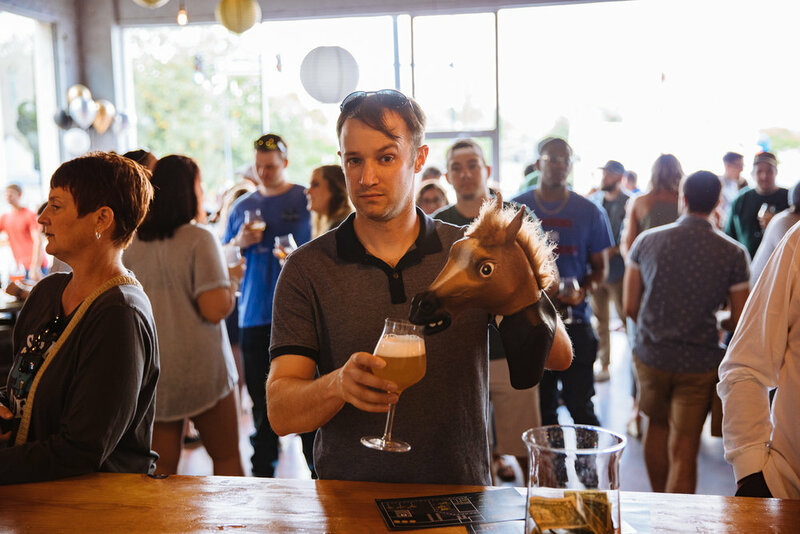 Since opening in 2014, our beer has only been available in Athens, Atlanta, and nearby surrounding cities. We expanded our operations in 2018 by opening an $11 million, 40,000-square-foot additional production facility to better meet the demand in our existing markets and we added Columbus, GA, and Augusta, GA to our distribution footprint in November 2018. The recent expansion brought our initial capacity of 50,000 barrels, and after moving tanks from our original Snow Tire location to our new Southern Mill location, capacity has increased to 70,000 barrels. The additional increase in production capacity will allow us to expand our current distribution footprint! “It’s exciting that our beer will be available throughout Georgia for the first time. 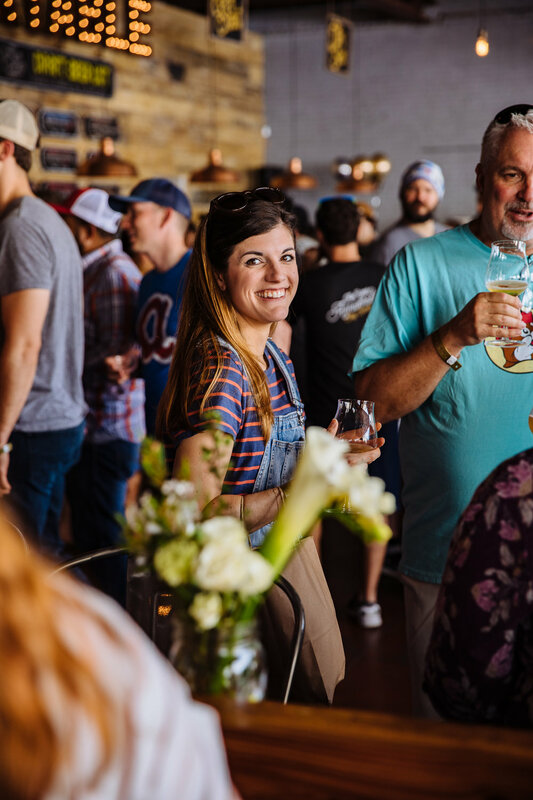 We are always grateful when we get the opportunity to use our beer to create enjoyable experiences and positively impact communities within our home state,” says our Co-founder and CEO Chris Herron. We are excited to announce we will launch the 2019 campaign of our flagship community outreach program, Get Comfortable, on February 6. 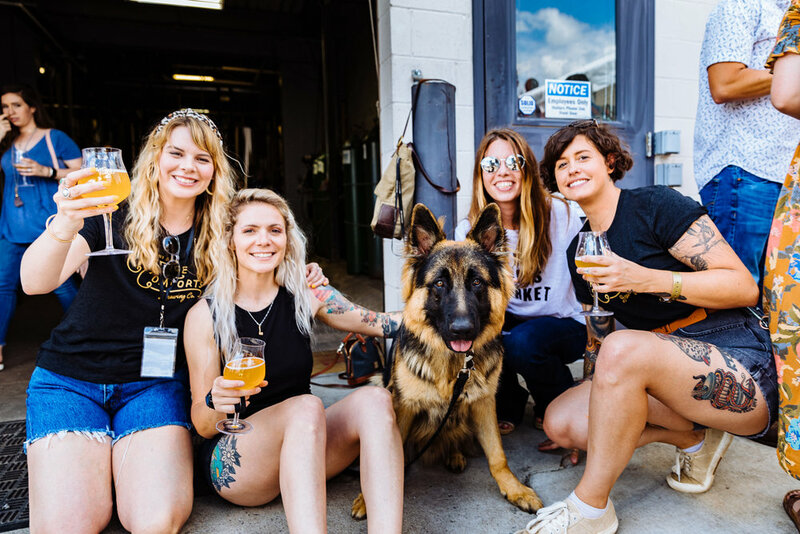 Starting with the 2019 campaign, the program will begin partnering with another brewery each year to release a collaborative beer to generate funds for the campaign. 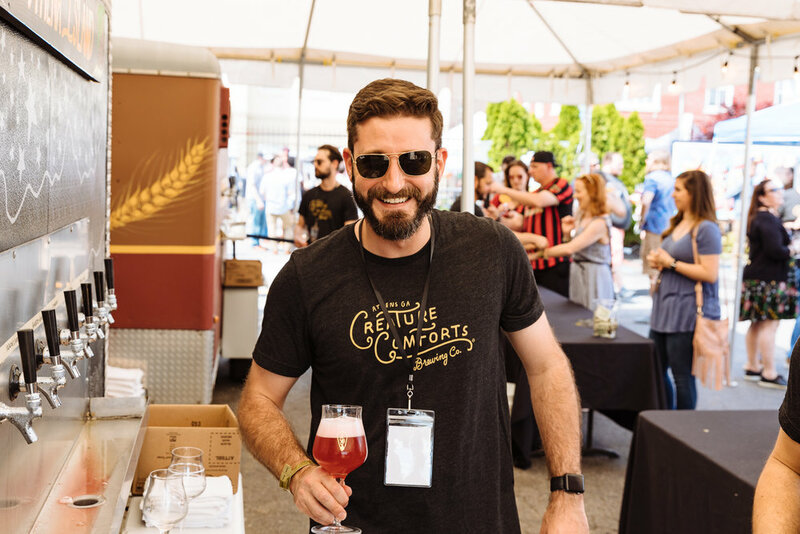 In the 2019 Get Comfortable season, we are partnering with Russian River Brewing Company. 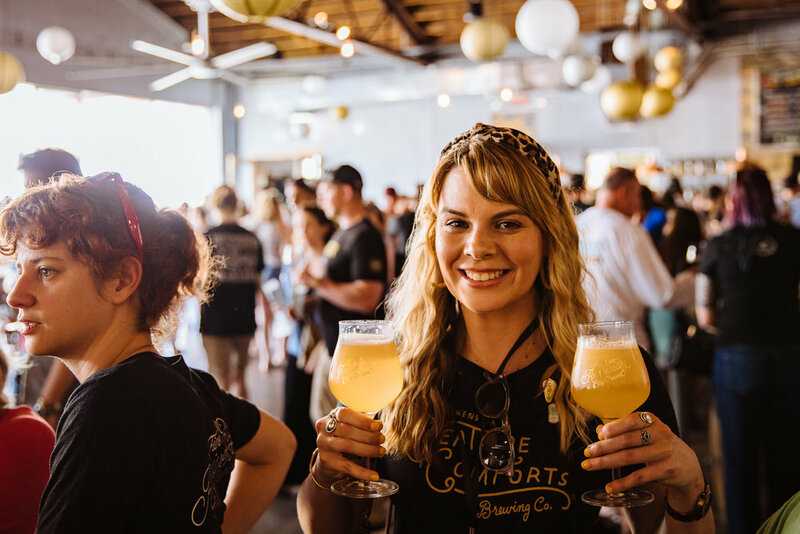 “When Russian River put a call out to our friends in the craft beer industry last year to raise money for the victims of the 2017 Sonoma County fires, Creature Comforts came forward to help support the cause. It was pretty early on in our recruiting, so naturally I was blown away that a brewery all the way from Athens, Georgia would help out,” said Russian River Owner & Brewer Vinnie Cilurzo. We collaborated to brew an IPA featuring Strata, Amarillo, Comet, and Pahto hops. Get Comfortable IPA is 7.2% ABV and will be available throughout the campaign on draft and in 4-packs of 16-ounce cans. With the vision of being a good neighbor to those in need, we created Get Comfortable in 2015, which has grown to be a year-round program. 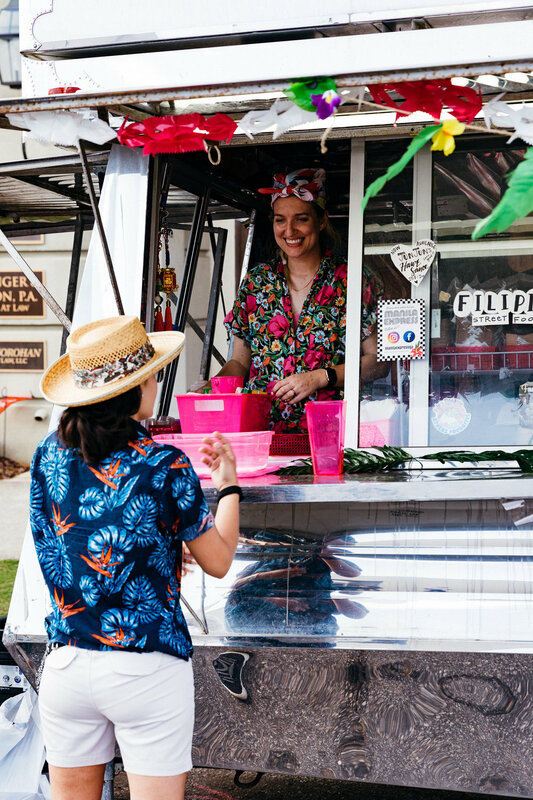 Get Comfortable’s mission is to unify the business community to resource the agencies meeting the community's most pressing needs. In Athens-Clarke County, where one in five people are food-insecure and the poverty rate is 34.4 percent—double the state, and triple the national, average—the campaign has traditionally focused on hunger, homelessness, and poverty. Through a rigorous vetting process as well as the direction of an advisory committee of community stakeholders, the campaign selected nine organizations to highlight throughout the season and receive funding when the program wraps in November 2019. The following nonprofits were chosen as the 2019 Get Comfortable partners: Action Ministries, Advantage Behavioral Health, The Ark, Athens Community Council on Aging, Bigger Vision, Chess & Community, College Factory, Family Connection-Communities in Schools, and Mercy Health Center. "Get Comfortable aims to align as many partners as possible to make the largest impact that we collectively can. Beyond the more than 40 local businesses participating in this year's campaign, we are profoundly honored to welcome a new partner this year in Russian River Brewing Company. 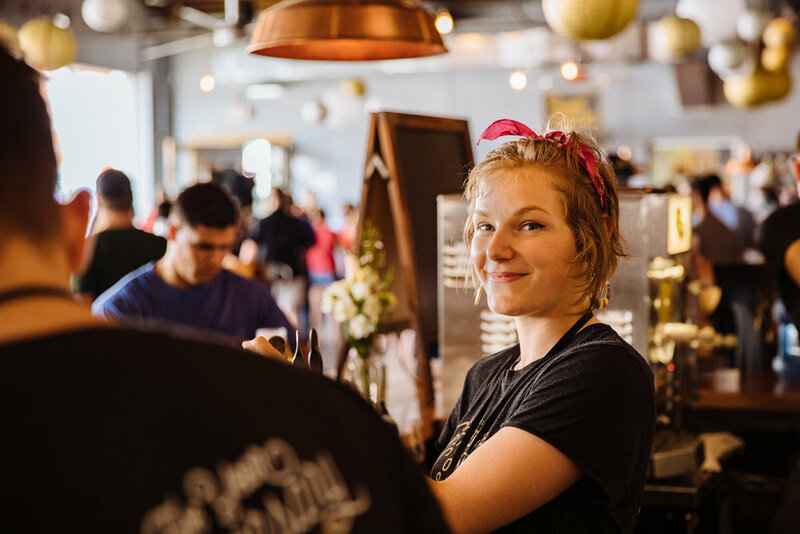 Headquartered across the country in Sonoma County, they obviously operate beyond the borders of Athens-Clarke, but they are absolutely a part of our craft beer community,” said Director of Community & Culture, Matt Stevens. 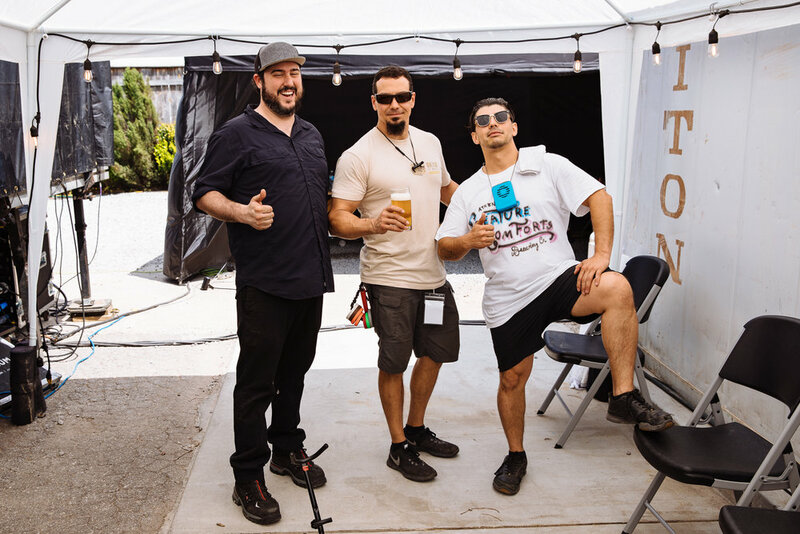 "Given our desire to transition the Get Comfortable release into an annual collaboration, and specifically our aim to leverage this program to intersect with other craft breweries famous for their philanthropic work, Russian River was an obvious choice to inaugurate this new direction. Whether it’s their annual Framboise for a Cure release, past participation in Ales for ALS, or most recently, their rallying the craft beer world around the Sonoma Pride project in the wake of last year's California wildfires, they remain an industry leader both in the quality of their product and the reputation of their charity." Get Comfortable 2019 will be a year-round campaign with a pronounced season of emphasis taking place February 6 through April 10, during which we will donate 100-percent of our Wednesday “community day” profits towards the Get Comfortable fund. 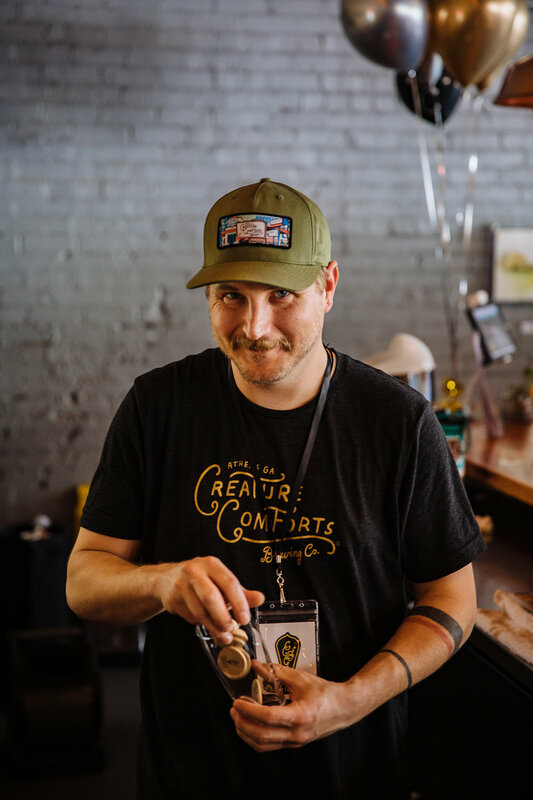 In addition to the profits from the collaborative beer going towards the fund, we will also create Get Comfortable merchandise and work alongside local businesses to generate additional profits for the fund. Get Comfortable 2019 will kick off February 6. Get Comfortable merchandise, as well as the Get Comfortable IPA, will be available at the brewery for the kickoff. For more information on Get Comfortable, visit www.GetCurious.com. Over the past four years we’ve been very fortunate to develop friendships with so many amazingly talented breweries, some of which we’ve had the opportunity to make collaborative beers with. We’re excited to announce our next collaboration, a beer we brewed with our friends at Jackie O’s Brewery – Athens to Athens Grist to Grist – will be released from our tasting room this January! Athens to Athens Grist to Grist is a saison (6%) made with spelt sourced from Jackie O’s community in Ohio and wheat locally sourced from DaySpring Farms in Danielsville, GA. The saison base was split among wine barrels. Half the barrels inoculated with our house-mixed culture, and the other half with Jackie O’s house-mixed culture. After a year of resting in barrels, we blended the saisons to bring together the flavors from the two house cultures. Jackie O’s signature lemon meringue flavor pairs perfectly with our stone fruit notes. Jackie O’s traveled to Athens, GA to brew the saison in February 2017. The beer is the second release in a collaboration series with Jackie O’s. The first of the series, a smoked barleywine aged in bourbon barrels and inspired by historic Adambier, was released under the same name from Jackie O’s tasting room in Athens, OH. Our resident artist, Melissa Merrill, designed the label artwork. The artwork depicts an idyllic moment to enjoy the saison. Athens to Athens Grist to Grist will be available in 750mL bottles from our tasting room on January 11. We’re excited to announce we will release Tritonia with pineapple and lemon this December. The limited offering will be available on draft as well as in 6-packs of 12-ounce cans from our tasting room and throughout our distribution footprint in late December. Tritonia is a tart and refreshing gose (4.5% ABV) with hints of coriander and sea salt. This new release features the fruit additions of pineapple and lemon. In addition to releasing two versions of our fruited Berliner Weisse Athena Paradiso each year, we will also release two versions of Tritonia, featuring different fruits, annually. Tritonia with cucumber and lime was previously released in May of this year. We hope you’ll join us for the release in our tasting room on December 21! We're bringing back Koko Buni (6.5%), our winter limited release milk porter with toasted coconut, cocoa nibs, and coffee, this December. Koko Buni will be available on draft and in 6-packs of 12-ounce cans onsite in our tasting room as well as in our Georgia markets. Koko Buni's flavors are rich and velvety – perfect for cooler days and evenings. As with all our offerings, a key characteristic of Koko Buni is balance in flavor. None of the flavors are overpowering or fatiguing on the palate. We sourced the coffee and a portion of the cocoa nibs used in the beer locally. The coffee is an Ethiopian blend from 1000 Faces Coffee and the cocoa nibs are Ecuadorian from local bean-to-bar chocolatier, Condor Chocolates, and Haitian from Woodstock, IL-based Ethereal Confections. In addition, 1000 Faces will offer the coffee used in the milk porter as a limited-edition Koko Buni coffee blend. Continuing in our effort to frequently work with local partners, we worked with Athens artist David Hale on the can design. The design won CNBC’s Battle of the Beer Labels competition in April 2016. The coconut and Ethiopian coffee used in making the beer inspired its name. “Koko” translates to coconut in Papiamento, a language commonly used in the Caribbean. “Buni” is derived from the word for coffee in Amharic, the primary language found in Ethiopia. Koko Buni will be available on draft and in cans onsite at the brewery beginning in mid-December and in the Athens and Atlanta markets shortly following the onsite release. With the vision of being a good neighbor, we’ve always aspired to leverage our company to add value to every community in which we operate. This led to the creation of our flagship community impact program, the Get Comfortable campaign, in 2015. This now-annual campaign has a mission to unify the business community to resource the agencies best equipped to address the community’s most pressing needs. We’re thrilled to share that the 2018 campaign wrapped this November, generating $290,121 for our six nonprofit partners. In Athens-Clarke County, where one in five people is food-insecure and the poverty rate is 36-percent – nearly twice the state poverty rate of 18.4-percent – the campaign has historically focused on hunger, homelessness, and poverty. Through a rigorous vetting process as well as the direction of an advisory committee of community stakeholders, the campaign funded six organizations this year: Advantage Behavioral Health, The Athens Area Homeless Shelter, The Athens Community Council on Aging, The Ark, Mercy Health Center, and Chosen for Life Ministries. 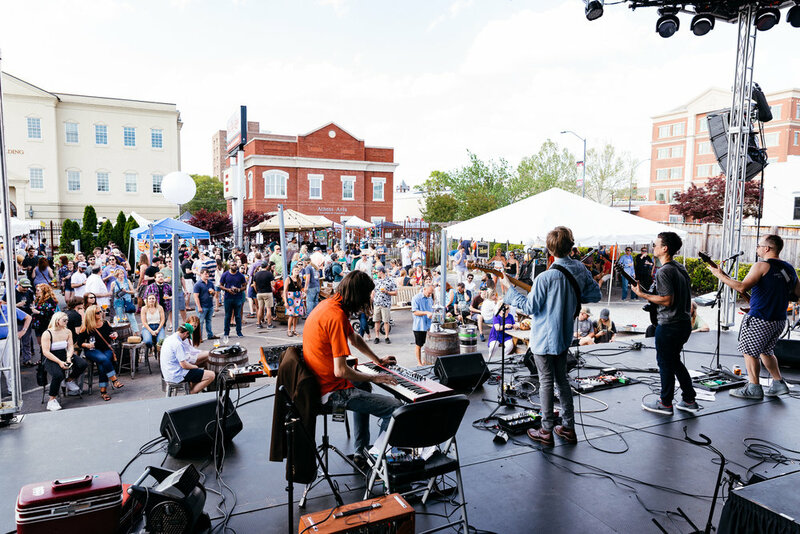 "Good companies are good neighbors," says Matt Stevens, Creature Comforts' Director of Community & Culture. "They determine what the needs of their communities are, they position themselves to participate as strategically as possible, and they invite others to join them. I cannot possibly express how grateful I am for the generosity of our business partners, how meaningful this year's round of donations will be for Athens, not to mention the potential this campaign has to expand in the coming years. This is not just a Creature Comforts undertaking; we've simply pushed over the first domino. This initiative now belongs to us—to our community stakeholders and the local business community." 2018 served as the first year Get Comfortable operated as a year-round campaign, with a season of emphasis that ended in April. 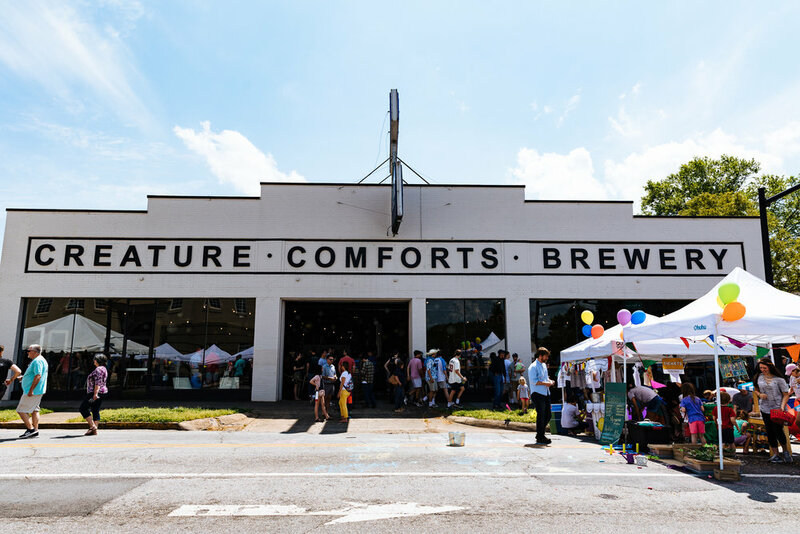 During this spring push, we donated 100-percent of our Wednesday “community day” profits to the Get Comfortable Fund, sold special campaign-related merchandise, and brought back our popular Get Comfortable IPA with all the profits going to the fund. 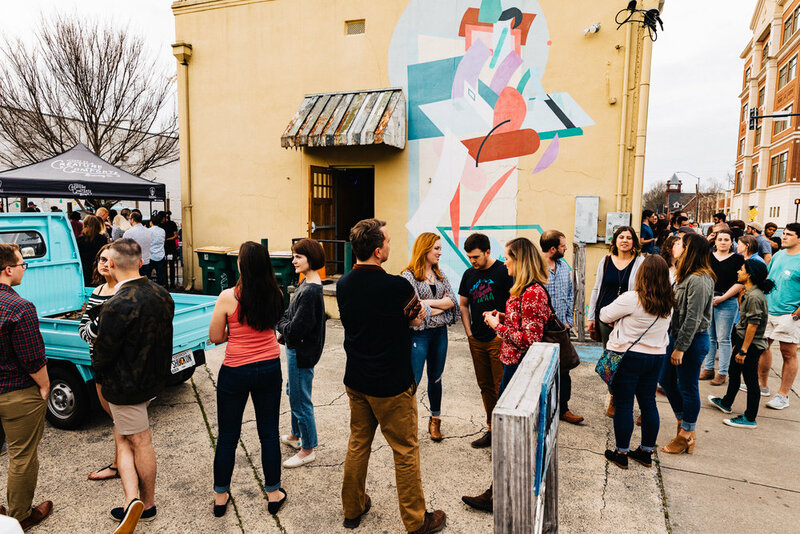 Additionally, a diverse group of business partners stepped up to generate funds throughout the year for Get Comfortable, which included medical practices, musicians, bars, restaurants, and many more. In early 2018, we also launched a new website, GetCurious.com, which encompasses all of our community initiatives. The website includes details and updates on Get Comfortable as well as Get Artistic, a campaign launched in June 2018 to serve the local arts community. We celebrated the campaign wrap-up on November 14 in our tasting room alongside Get Comfortable’s nonprofit and for-profit partners. The 2019 campaign is set to launch February 6, 2019, stay tuned for more details! For more information on Get Comfortable, visit GetCurious.com. 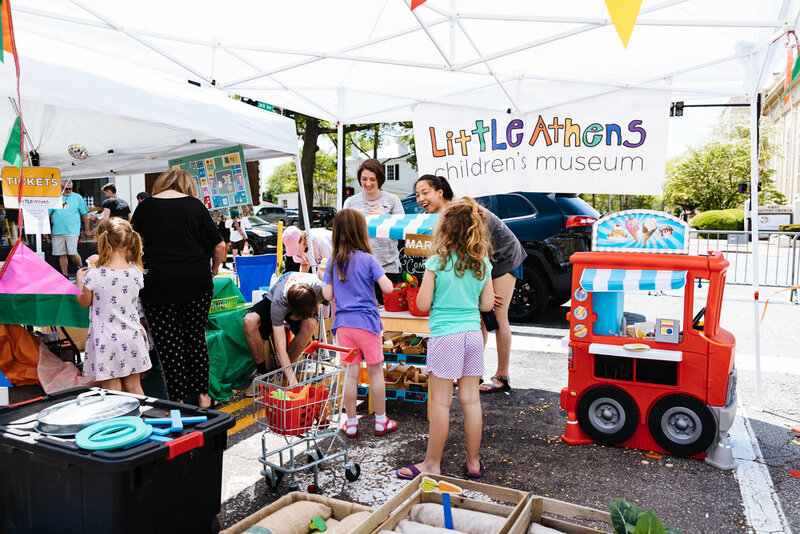 We love this community and are so thankful to each business that stepped up to contribute to Get Comfortable and to our nonprofit partners for the incredible work they do in Athens! Creatures of the Night is a Halloween-inspired installation of creepy creature silhouettes drawn by local artists. Their designs were transferred to paper and pasted to the wall using a natural rice-based glue. Featured artists include Eli Saragoussi, Will Eskridge, Tex Crawford, James Greer, and Chris Taylor, who helped organize the exhibition. Check it out before the spooks disappear after Halloween night, October 31! We are excited to release our next limited offerings from its wood cellar, River Ridge Black and Fauxjolais, this Fall. The beers will be available in 750-mL bottles from the tasting room on October 13. River Ridge Black is a fruited dark ale that aged in French oak for over a year with our house-mixed culture of yeast and bacteria. The beer then conditioned on top of organic black raspberries with black currants. River Ridge Black was bottle conditioned and has an ABV of 8%. The limited release serves as a part of our Locally Grown Series (a series we use to showcase local ingredients) as we sourced the black raspberries used in the beer from a southeastern farm, River Ridge Organics. Our appreciation of Old World wine and nuanced flavors inspired the crafting of the beer. Fauxjolais is a fruited blend of saisons from our wine barrel cellar and was made using the spent fruit used in River Ridge Black. The blend conditioned on top of second use organic black raspberries and black currants. The beer was bottle conditioned and has an ABV of 6.9%. Our staff member Melissa Merrill created the artwork used on the labels. Merrill painted the original artwork for River Ridge Black with a medium derived from the beer, wheatgrass, and coffee. The original artwork for Fauxjolais was painted with a medium derived from blackberries and ink. We hope you join us for the release of these special, limited edition beers on Saturday, October 13th. We will also be making some available for pre-sale through Craft Cellr (see button below). For more details on that, please follow us on our Instagram, Facebook, or Twitter! We’re excited to release Classic City Lager in cans for the first time this Fall! The beer is currently on draft and we’ll release 6-packs of 12oz cans from our tasting room and through the Athens market starting this October. The beer will be available in 6pks and 12pks of 12oz cans as a year-round offering throughout our distribution footprint beginning in November. Classic City Lager is a clean, crisp, and easy-drinking lager with an ABV of 4.2%. The beer is brewed to be a highly drinkable lager that can serve as both an entry into craft beer for new consumers as well as a staple product in the fridge for those who love craft beer and sometimes want an uncomplicated, simple, and delicious lager. 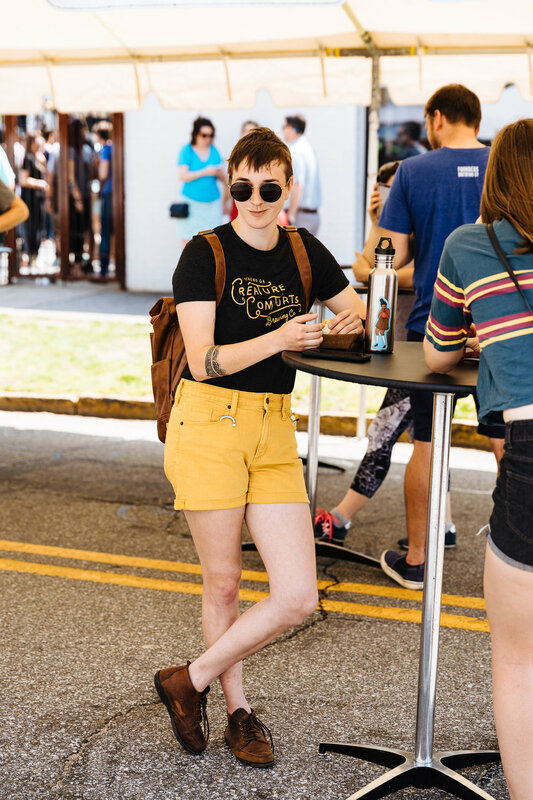 A nod to our home in Athens – the Classic City – we first introduced Classic City Lager as a local draft offering in September 2017 and it has since gained popularity in our tasting room as well as in the market. 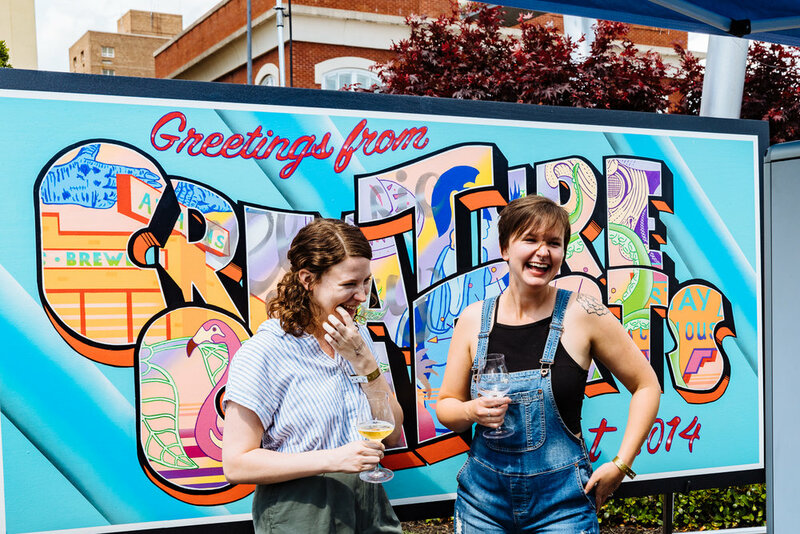 In a continuous effort to work with local partners, we collaborated with Athens artist Chris Collins to design the typography for the Classic City Lager can label. Classic City Lager will be available from our tasting room beginning October 8 at our next Service Industry Night. Immediately following the onsite release, it will be available in the Athens market and will hit the Atlanta market by November. Cheers to enjoying good cold beer! 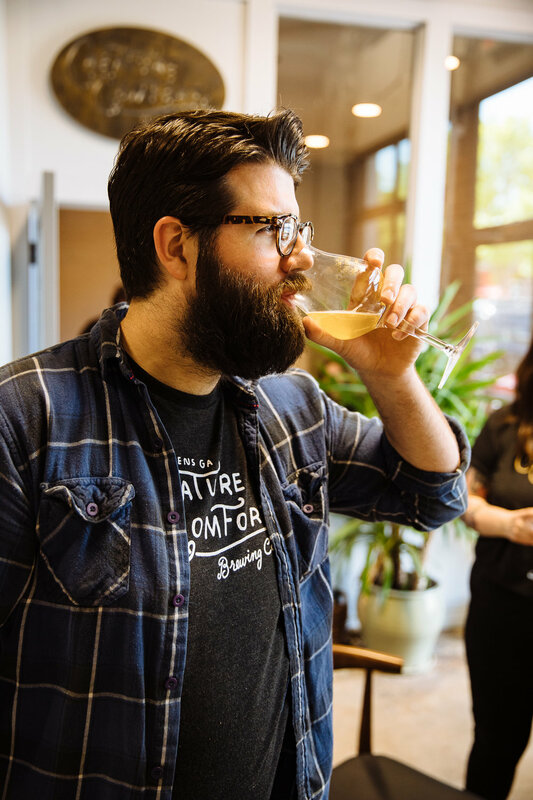 Common Things is a mixed-culture saison made with honey from local bees. The beer is 6.2% ABV and features Styrian Golding and aged Cascade hops. It was fermented in stainless steel before being packaged and refermented in 750mL bottles. Our seasonal pale ale, Automatic, is returning this August. The beer is currently available on draft and will be available in 6-packs of 12oz cans from our tasting room and in the Athens and Atlanta markets. Automatic is a modern pale ale (5.5%) that features a prominent hop flavor and aroma. A mix of Mosaic and Crystal hops are used to create a delicate balance and give the beer an aroma that features a complex array of berry, citrus, herbal, and pine notes. The flavor mirrors the aroma with a bit more earthiness and stone fruit, leading to a nicely balanced and moderately bitter finish. We collaborated with local Athens painter, Michelle Fontaine, on the can design. The artwork was inspired by 1950s American popular culture as well as the origin of our facility – a former 1940s Chevy dealership, and later the Snow Tire Company. The seasonal release will be available onsite at the brewery mid-August as well as in the Athens and Atlanta markets shortly following the onsite release.